Pedro Faro, Director of Frayba (speaking), government officials and the victims (the 4 on the right) at the public apology. The federal government asks the parents of Angel, Ricardo and José, victims of the explosion of a military grenade, for public forgiveness. Representatives of the Armed Forces refused to attend the event, whose realization was brought about with the intervention of the Inter-American Commission on Human Rights (IACHR). Angel Díaz Cruz, just 9 years old, died from the impact of an anti-personnel grenade that Mexican Army personnel had “forgotten” some 500 metres away from El Aguaje community, in the municipio of San Cristóbal de las Casas. Ricardo and José López Hernández were injured. The acts occurred in September 2000. Now, 15 years later, the Mexican government held a public act of recognition of the Mexican State’s responsibility, and asked the family members of the victims for forgiveness. The big absence at the event were any representatives from the Armed Forces, whose members utilized a piece of land as a training field that the El Aguaje community used to collect mushrooms and to graze their flocks of sheep. “The only thing that these poor children did was to look for mushrooms to eat.” They saw the grenade and thought it was a toy, and they brought it inside of the house where it exploded, explained the father of Ricardo and José, who also spoke in the name of Cristina Reyna Cruz López, Angel’s mother. “My family and the residents of El Aguaje are now obliged to live with all kinds of noises provoked by the explosives, the mortars and the machine guns, which provoked a lot of fear,” he remembered. The family of the injured boys and of Angel denounced the act to judicial authorities. The Military Prosecutor’s Office demanded jurisdiction over the investigations and, beginning at that moment, access to the record was closed to the family and its representatives, without reparations being made for damages or medical attention being given to the two survivors. With help from the Fray Bartolomé de las Casas Human Rights Centre (Frayba), the family took the case to the IACHR, which after several years of investigations, concluded that the Mexican government was responsible for not carrying out its practices in safe zones far from the civilian population, and that it denied the victims access to justice upon bringing the case to military jurisdiction. According to the Mexican government, Infantry Major Raúl Anguiano Zamora and Lieutenant Emilio Sariñana Marrufo were arrested for these acts. The families don’t know what the penalty given to them was because they were never notified of the process. The IACHR asked the government and the victim to reach an agreement for an amicable solution, which includes the public apology that took place today, and that Homero Campa Cifrián, Assistant Secretary of Human Rights for the Secretariat of Governance gave, as well as the Governor of Chiapas, Manuel Velasco Coello. Homero Campa reported that the families would be indemnified for the damages and that a school will be constructed in El Aguaje that carries the name of Angel Díaz Cruz. Pedro Faro, current director of the Frayba, explained that the IACHR has had to intervene in three other cases where the Mexican Army has violated the human rights of Chiapas residents, in situations that include the torture and homicide of civilians where they arrived to set up their camps. He explained that ever since military members came to Chiapas in 1994 to carry out actions against the Zapatista National Liberation Army (EZLN), human rights violations have increased. Faro emphasized that despite the fact that the Mexican government has committed to stop human rights violations, the Mexican Army has maintained the contrary. “Today we lack the principal character of this story (…) The Mexican Army is not present because it is untouchable in Mexico; it’s clear to us that it is a supra power to civilian government,” he emphasized. 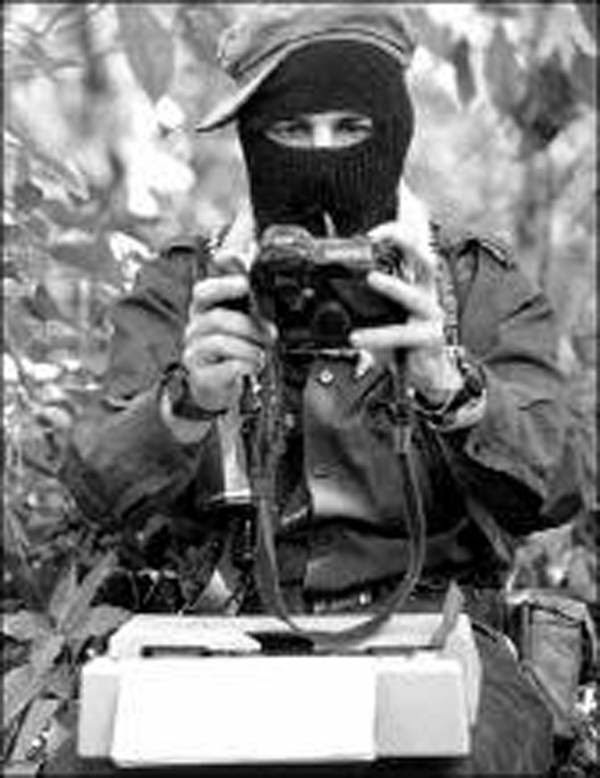 In January 1994 an internal armed conflict began in Chiapas, when the Zapatista National Liberation Army (EZLN, its initials in Spanish) declared war against the Mexican National Army and took various municipal capitals. Armed conflicts are governed by the rules of International Humanitarian Law, among them the Geneva Conventions and their protocols, which establish, among other things, that the parties in conflict must respect those who do not take part in the hostilities, and those who, having taken part, are injured or have been taken prisoner. Those who do not comply with these norms incur war crimes and violate human rights. It was within the above context that a Mexican National Army brigade entered the Ejido Morelia, in the municipality of Altamirano, Chiapas, the morning of January 7, 1994. They detained 33 indigenous men, who they submitted and laid face down on the basketball court. They also detained Severiano Santiz Gómez, Sebastián Santiz López and Hermelindo Santiz Gómez, who were separated in order to take them to the sacristy of the church, where they were tortured, for allegedly belonging to the EZLN. This was the last time they were seen or heard. A few weeks later, their remains appeared near the ejido. They had been executed by their captors in violation of the norms of International Humanitarian Law. Despite clear evidence, the Mexican National Army has denied responsibility for the acts and the Mexican State continues protecting it, refusing to investigate or simulating doing so, in order to avoid punishing the military personnel involved and responsible for the arbitrary execution. Almost twenty-two years later, the State has accepted its international responsibility in the human rights violations that the Mexican National Army committed, and in the terms in which the IACHR would point it out. Nevertheless, this admission has not represented punishment of those responsible. On November 10, the signing of an Agreement for Attention to the Background Report No. 48/97 was carried out. 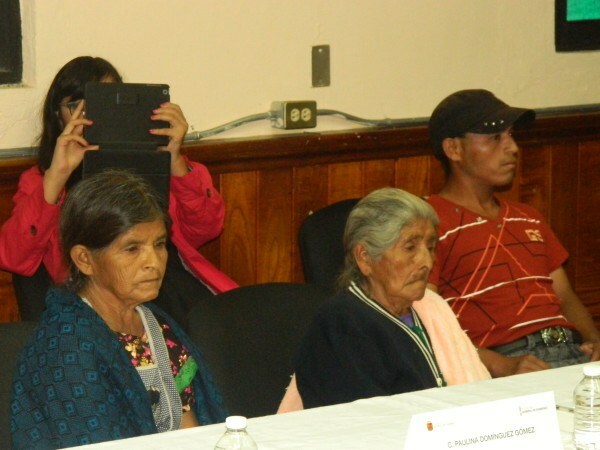 Representatives of the Mexican State and the widows of the three victims signed the agreement. Starting with the international principle that one who violates an international obligation, like the rights provided in the American Convention on Human Rights, is obliged to make reparations, the agreement contemplates the reparations measures agreed to by the parties, and that the State has to implement. About the factual basis for the referenced background report, the ministerial investigation will continue until the complete clarification of the facts and the sanction of those responsible. They also agreed on diverse rehabilitation measures for family members of the victims; a public act of recognition of responsibility; the construction of a community park and corresponding compensatory indemnifications. The path of justice is open, and the agreement represents an important gesture from the Mexican State to recognize and admit its responsibility in the deprivation of the lives of Severiano Santiz Gómez, Sebastián Santiz López and Hermelindo Santiz Gómez; nevertheless, it turns out that the human rights violations will only be resolved and compensated for when those responsible are taken to the courts and a sanction is imposed on them. * Miguel Angel de los Santos is the lawyer for the victims’ families.